This Dark Chocolate Stout Cake is made with only a few simple ingredients. It’s rich with flavor, but incredibly light and moist all the same. 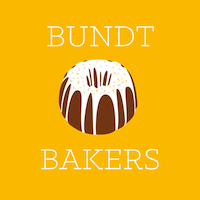 Welcome to the first #BundtBakers of 2016! To kick off the celebration we are sharing strange but good – weird flavor combinations. 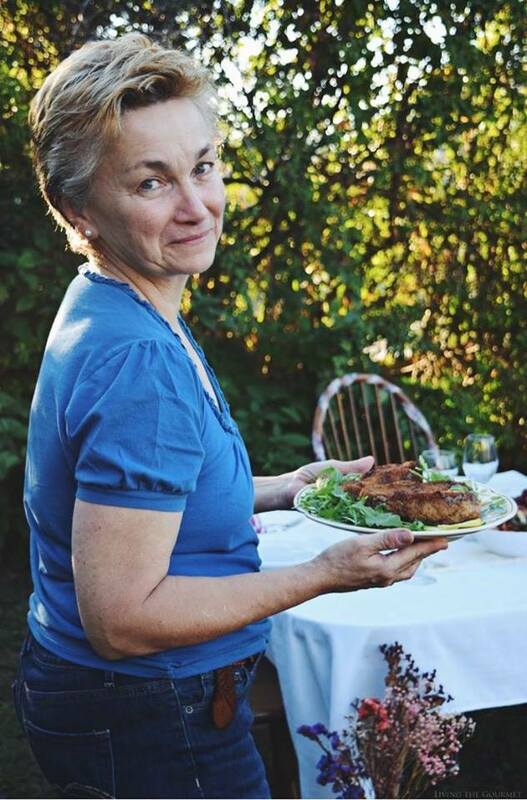 Our delightful hostess, June of How to Philosophize with Cake is taking the reins this month and pushing our creativity to the limits. Every month I always find myself at a crossroads. This time I was torn between stout and wine. My mind was blown when I came across my first wine cake because lets face it, a glass of bubbly and a piece of chocolate is just about the best thing since sliced bread. 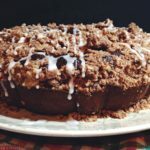 I ultimately decided on a stout cake for two reasons, one of our lovely bloggers already had the wine and dessert category covered, and mom really wanted to try a stout cake. As I described above, it rich but light, and utterly divine. I did cheat a little bit and used a dark chocolate cake base, but kicked it up with some espresso powder and stout to give this sweet decadence a bold yet subtle undertone. Whip one up this weekend and try it for yourself! Preheat oven to 350 degrees F. and butter a bunt pan. In the bowl of your stand mixer combine cake mix, eggs, oil, stout and espresso. Beat with the paddle attachment until combined and 'airy'. Pour the batter into the prepared bundt tin and bake for 35-40 minutes or until cake tester comes out clean. Let cool in the pan completely before turning over onto a serving plate. Drizzle liberally with chocolate fudge and serve! What a lovely dark beauty! The cake has such a light and smooth crumb that I really love. Oh my that slice looks so luscious! It's a great cake for St. Patrick's Day too. Oh my goodness this cake is so beautiful! Chocolate and booze in a cake - what more could you want? Hi Catherine - I must say, seeing this with my morning coffee wants me to throw my yogurt and granola in the trash and lick the screen! 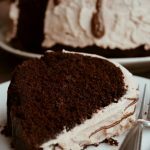 This Dark chocolate stout cake looks phenomenal! Utter decadence! Thanks so much for sharing it! What a beautiful cake! Your photos are stunning! And that chocolate fudge on top...yum! What a treat! This must be the richest cake going. Looks spectacular! It is also one of my favourite recipes, gets so dark, chocolately and moist with the stout beer! I've never added stout to a chocolate cake but I can only imagine how much flavor it lends! This looks delicious, Catherine! When I was younger I was a huge fan of dark beers, but now they're too heavy and filling for me. One beer and I feel like a nap! In a chocolate cake though, stout is just the ticket! They really do compliment each other so well! YUM and well done! 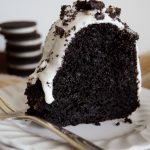 I made a Guinness cake way back in those early days of blogging---it was SO good! I think I'll take your lead and make another chocolate stout cake. Yours looks divine! This is a seriously gorgeous looking cake! Wow! I am a total chocolate fan, I love this. And I love how simple the ingredients are! I'm going to have to give this a try! This cake looks delicious Catherine, a hug ! This cake looks so moist! It would definitely satisfy my chocolate cravings. Catherine! I hope you've been well! 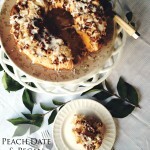 I've been a little absent from blogs this year but ready to be back in action and what a delicious recipe to open up with! this cake is to die for! Lovely recipe! 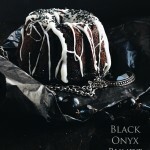 Not only does your bundt look delicious but I am seriously crushing on your photos. I'm pretty sure I have a bottle of stout in my pantry and now I know exactly what to do with it. This is just beautiful and I can almost taste it now! This is one of those recipes that I keep meaning to try, it looks delicious! Gorgeous, as usual! Love the deep dark color and that cut piece looks just heavenly! I'm all for adding espresso powder to chocolate anything -- really intensifies the flavour, but I've never tried with stout! Delicious! 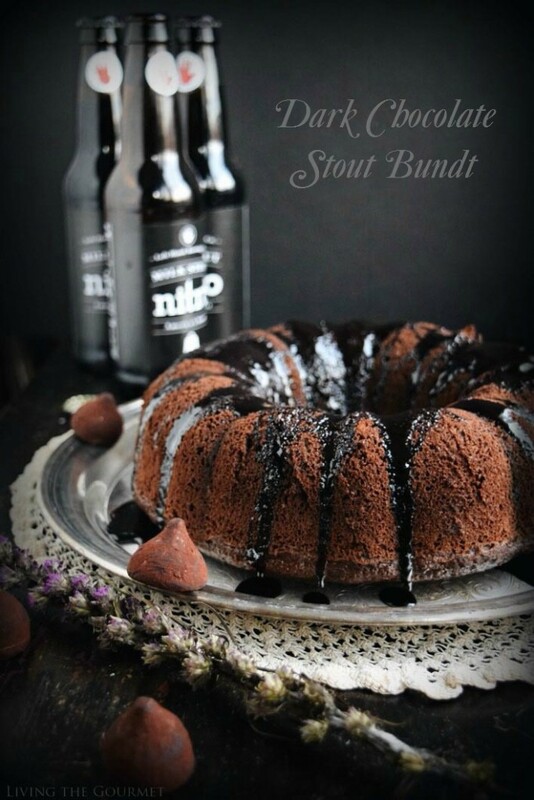 I'm a huge fan of stout in cakes and this looks so moist and delicious. beer in yo' bundt! now that's what I'm talkin' bout!